Those are the official words of warning issued by the benevolent US State Department to all Americans. We know the government doesn’t like competition, so whenever a community organizes peacefully and prosperously without a big brother state extorting them, it’s time to ramp up the propaganda machine… for your safety, of course. Well, in the spirit of refusing to believe anything crazy Uncle Sam says, one of the best things I did in 2018 was decide to visit Cherán myself, along with journalist Luke Rudkowski, to see what the hype was all about. 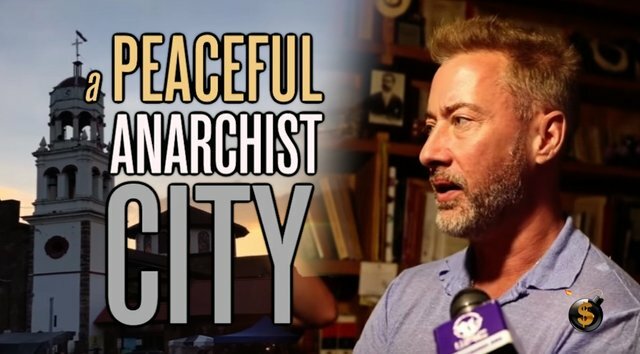 Anarchapocalypse is an upcoming documentary we were interviewed for, in which filmmaker Chris Harrigan explores the relationship between individuals and governments, from Acapulco to Michoacán. The world needs to hear about the brave men and women of Cherán, the indigenous community that, in an uprising nearly a decade ago, threw out the local cartels and corrupt politicians—all of them—to end a cycle of violence and deforestation. Indeed, as we drove in, we were greeted by a checkpoint---except this “security measure” was designed to keep out politicians, those identified with a political party, and police. Cherán is a beautiful, peaceful, and thriving example of what’s possible without the prying arms of the state, so it was really important to be able to tell this story. Real world examples of functioning anarchy on large scales continue to emerge. It’s part of the reason that Anarchapulco---The World’s Premier Liberty Event---has exploded in popularity. It’s expected to break attendance records again this year, and the whole theme is LIFE UNCHAINED, so prepare for the wildest experience imaginable. 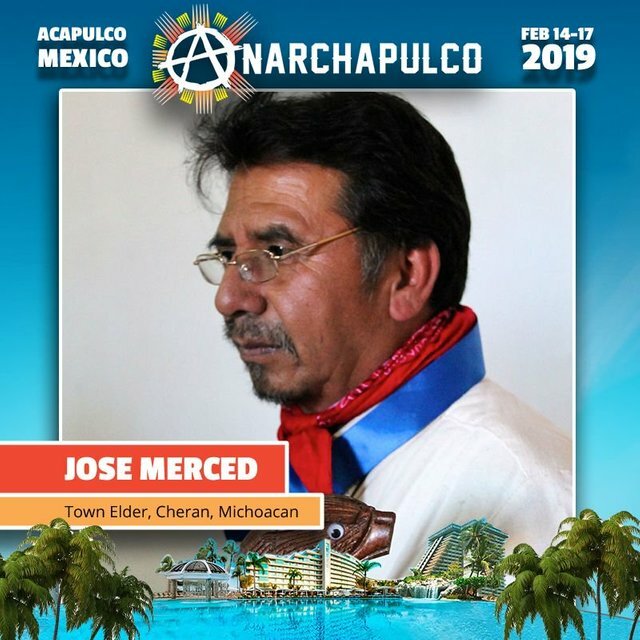 Anarchapulco 2019 is honored to have Cherán Town Elder Jose Merced presenting on the main stage, along with incredible visionaries like Dr. Ron Paul, Andrew Napolitano, and David Icke. There will be so many freethinkers you’ll have the chance to meet and network with. Tickets are expected to sell out soon, though, so if you still haven’t, be sure to BOOK NOW while you can. I recommend they use Vaultoro. Buy/sell gold using bitcoin. Jeff put me onto them in an Anarchast broadcast. My referral link below. Do you have an article about this we can link to? If you really want to be free from the system now, you can do it. Sad put true try to show some people the light . Remember telling a guy once "this corrupt system needs to end"
response: "but that would be anarchy "
What's your take on the Lightning network? you can almost feel the freedom just watching this video....now I think I will put this city on my travel list...I have been in Mexico twice, its a nice country, you feel free somehow in a way that you never feel in other parts of the world....to many god dam rules. So inspiring. I would love to visit Cheran. There is so much the rest of the world can and must learn from the people there. Especially about focusing on inner peace and spreading that to the community. Peaceful solutions will set us free.